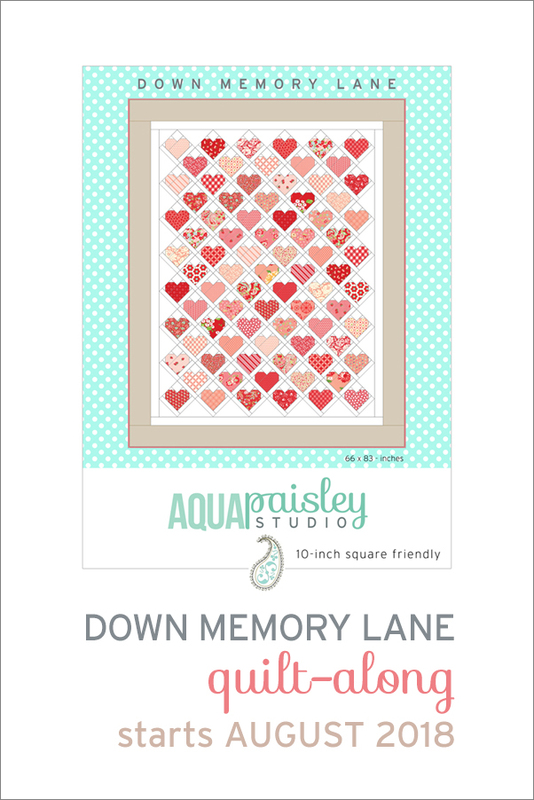 Do you want to have some fun and make your own Down Memory Lane quilt too? The Down Memory Lane Quilt-Along starts August 10th which gives you a little time to get organised and plan your quilt. 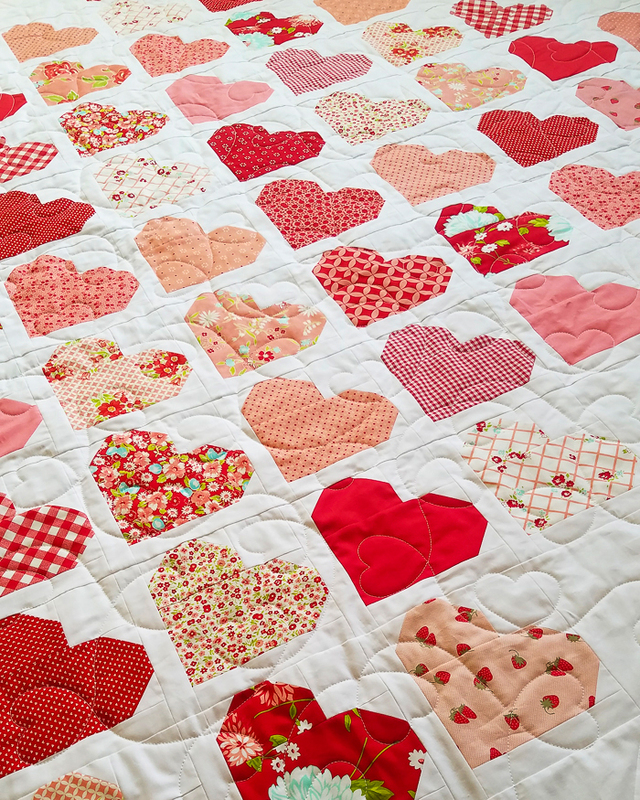 And if you need some incentive to join in, then think of this as getting an early start on the perfect quilt for Valentine’s Day ;). In order to participate you will need to purchase either the original full sized pattern, or the mini quilt pattern. Use can use the coupon code DMLQAL throughout 2018 to receive a 20% discount on the pattern price. 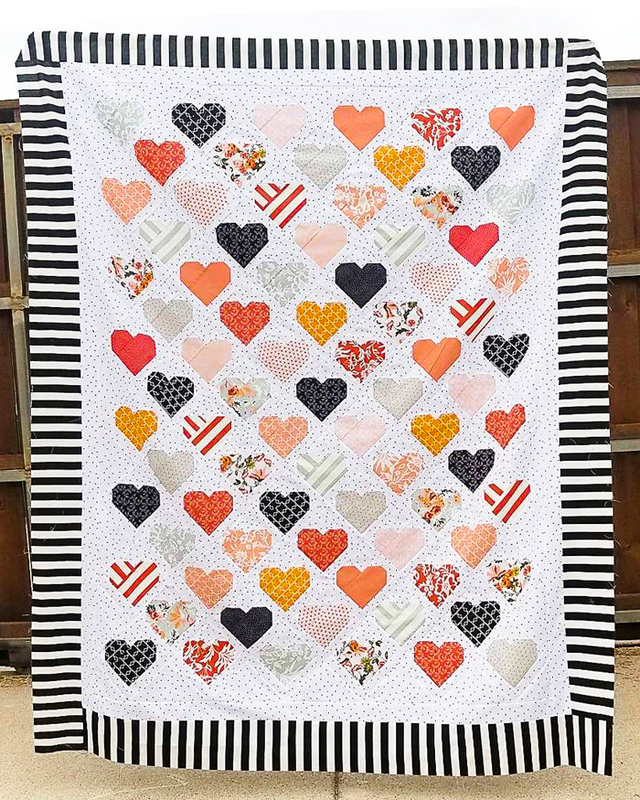 The full size pattern contains instructions for both the original 66 x 83-inch Down Memory Lane quilt, and the 69 x 69-inch Down Memory Lane ‘Best Loved Memories’ edition quilt, which uses a larger block to create a generous throw quilt. You might also like to make the mini version of this pattern which makes a delightful wall or doll quilt. This is not a difficult quilt to piece and some quilters may find they are able to make the quilt top in very little time, but as I know many of you don’t get the chance to sew as often as you might like, I have set a fairly relaxed pace for this event. Prior to the official start date – Purchase the pattern and your fabric. Begin to cut your pieces ahead of time if you find this part tedious or time consuming. Each Friday I will share a quick tip here on the blog and on Facebook. Quilt-alongs are a great way to meet other makers online and participate in some community fun. 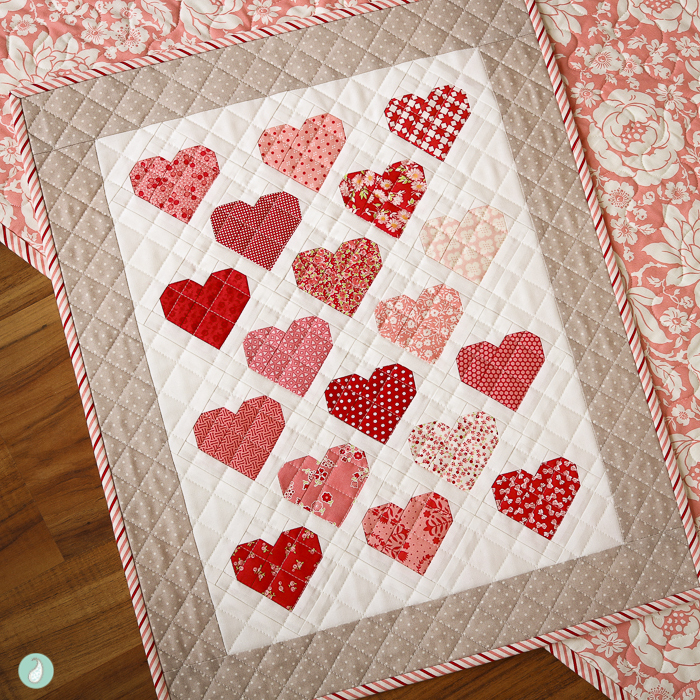 And you don’t have to be an experienced quilter to make this pattern – it is perfect for a beginner. In fact I made a similar quilt to this when I originally learnt to quilt. You can read more about the story behind this quilt design in the actual full size pattern pages. I would love to have you join me on this creative adventure for the next few weeks. 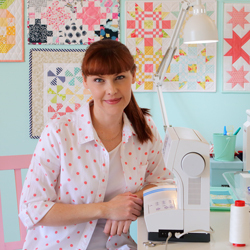 Jump in and start sewing anytime! 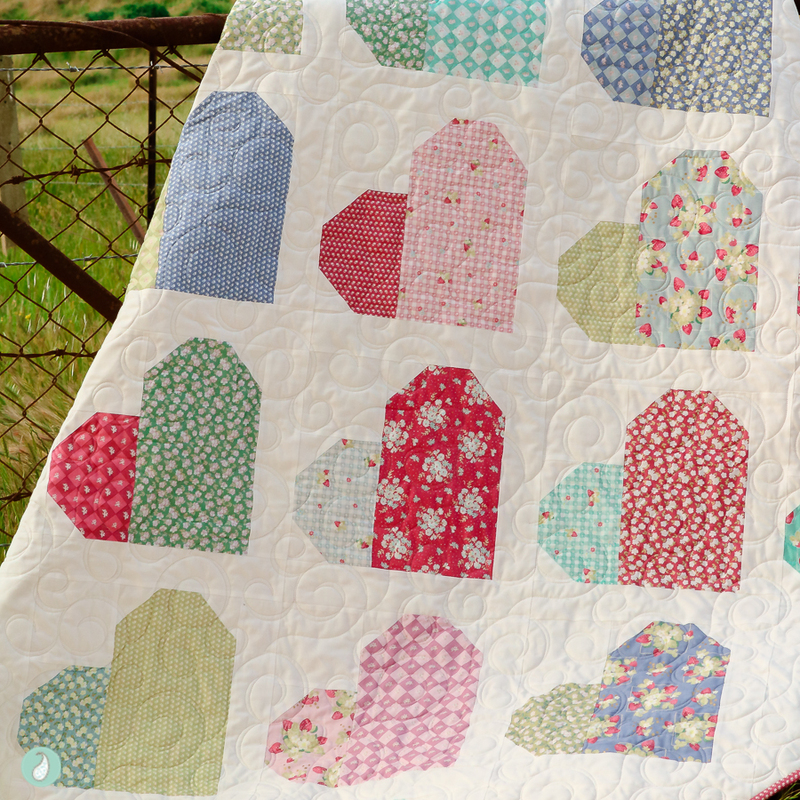 I can’t wait to see what fabric combination you choose and how this quilt will tell your own quilting story. Remember you can use the code DMLQAL throughout 2018 to receive a discount on both the original and the mini version of Down Memory Lane. Grab your pattern right now and get started :). 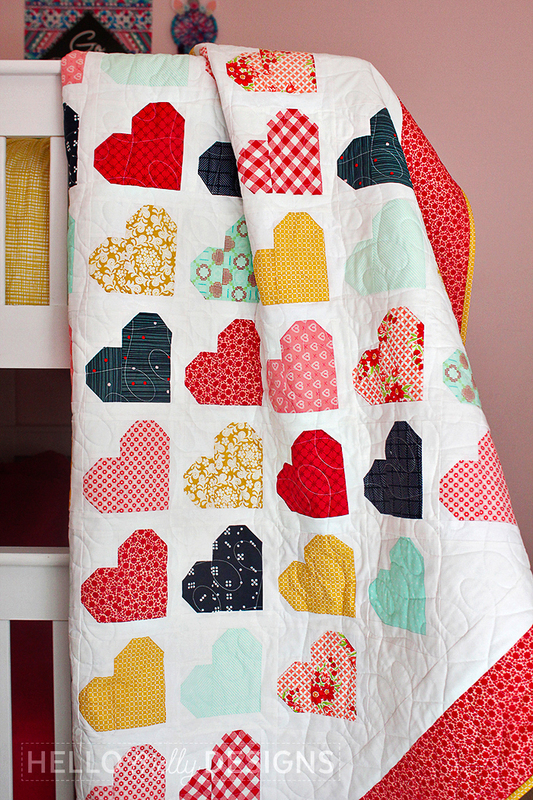 I’ve been eyeing this quilt pattern for a while and what a great reason to get started! Excited to see how it all goes! Thanks Amber – I am excited too :). Great to have you on board!! Hi. I have a question. When you mention a time line and reference “12/8, 10/5, etc (I’m making up fictitious numbers) what exactly does that mean? Hi Bridgette – Thanks for asking – in Australia we use the day/month/year sequence when stating a date. So what I am actually referring to is August 10, August 17 etc. I hope that makes more sense now!